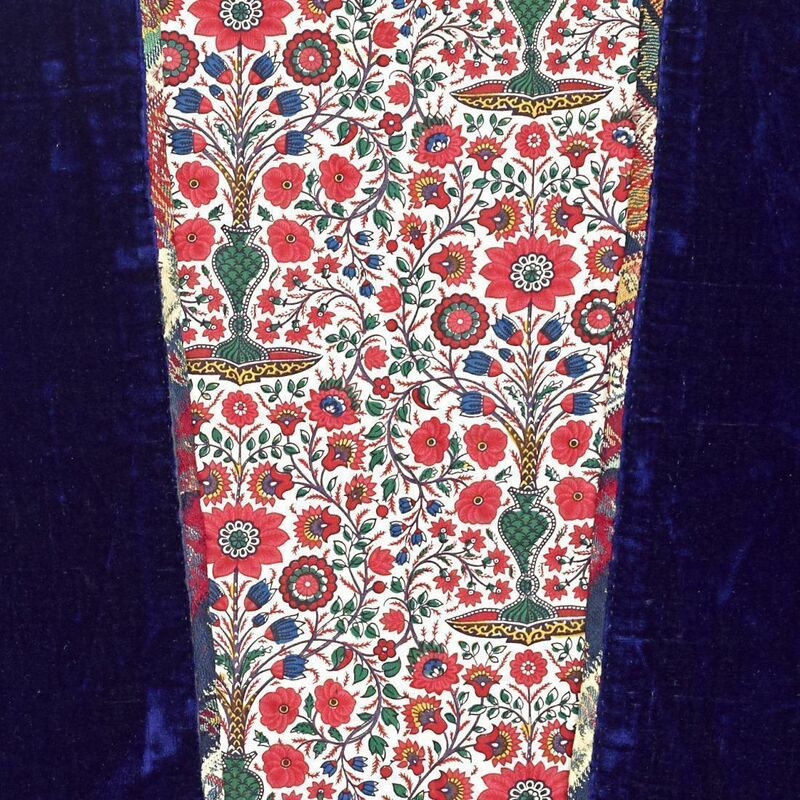 When a Swiss merchant from St. Gallen by the name of Emil Alpiger returned to Zurich in 1896 after more than 20 years in Persia, his luggage included a wooden trunk full of Persian garments and fabrics, a treasure trove that would be safeguarded by his family for generations. Now, after more than a century, the precious clothes, fabrics, wall hangings and embroideries are at the center of an exhibition at the Rietberg Museum in Zurich. “Shades of Elegance: Fashion and Fabrics in Tehran Around 1900” takes us back to the last quarter of the 19th century in Persia, to the reign of Nasser al-Din Shah Qajar, who ruled from 1848 to 1896. The exhibition centers on three main themes: men’s and women’s garments, wall hangings and carpets. 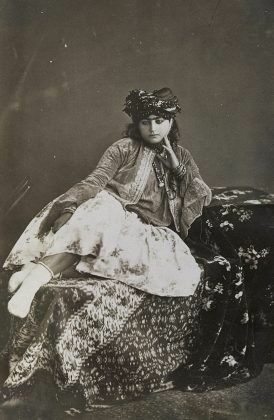 One of the most striking examples of this is the shaliteh – a short ballerina-style skirt or tutu worn by the dancers of the Paris Ballet that was brought back by Nasser al-Din Shah from his first trip to Europe and quickly inspired a new fashion for the ladies at the Shah’s court as early as 1873. A selection of photographs collected by Emil Alpiger during his stay, depicting life in Persia in those days, is also on display. Reflecting his interest in both the country and its inhabitants, Alpiger’s collection includes more than 500 paper prints by such renowned Iranian photographers as Antoin Sevruguin who left a lasting image of Persia during the Qajar era. “They also indicate how Iranian weavers and tailors embraced European fashion and foreign motifs and made them their own,” adds the museum. 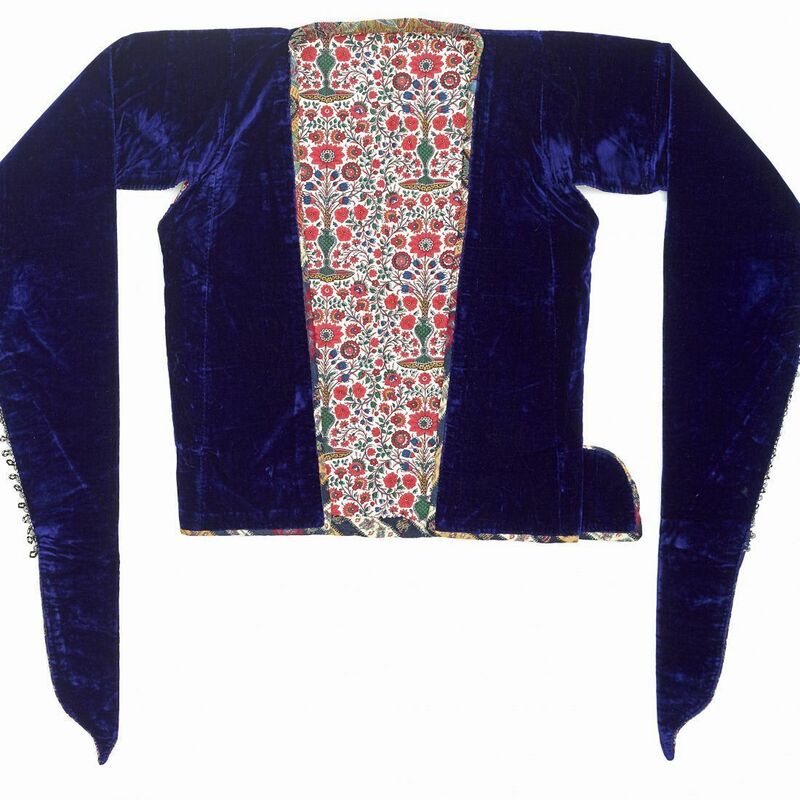 Small jacket for women, Iran, 1875-1895. 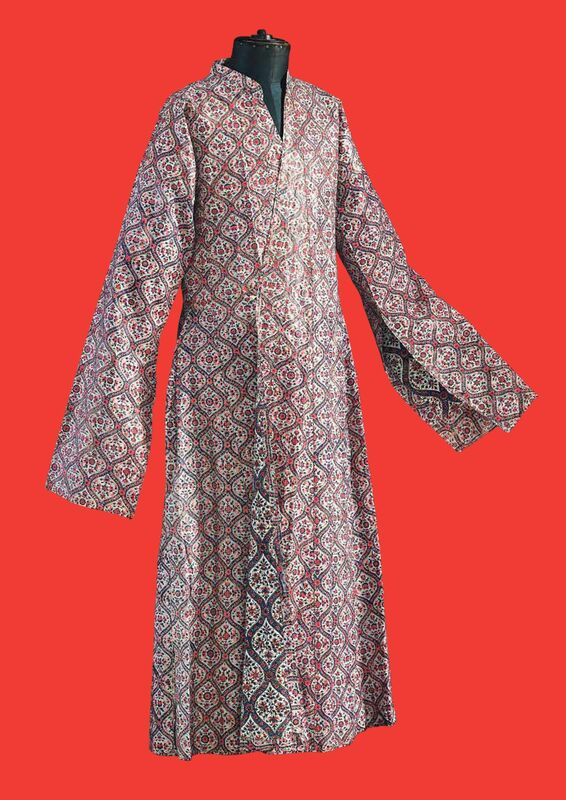 Silk velvet, woollen fabric (termeh), cotton. 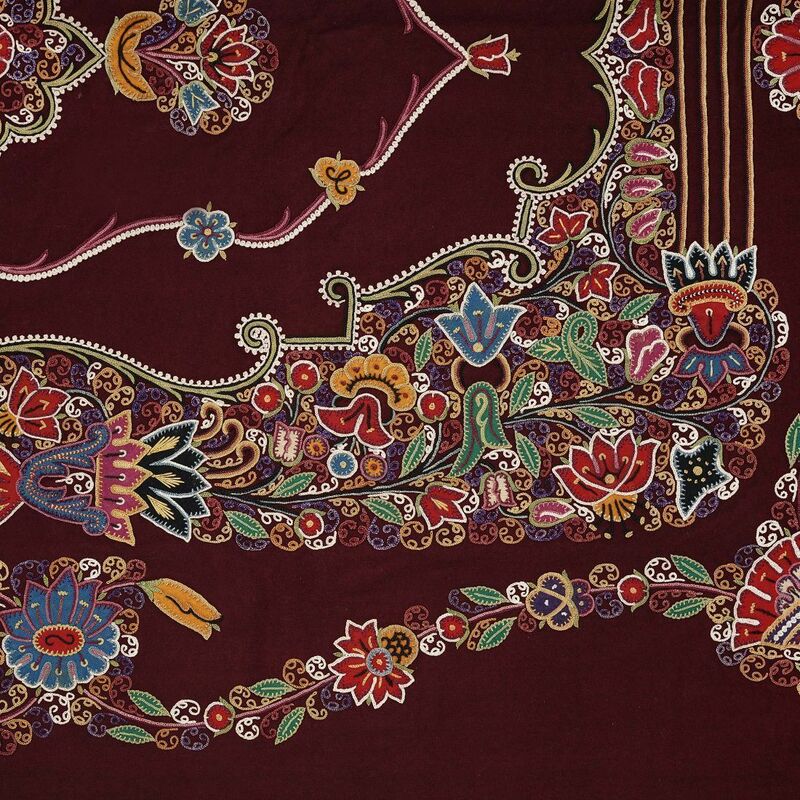 Small Jacket for Women (Detail), Iran, 1875–1895, Silk velvet, woolen fabric(termeh), cotton. The Qajar dynasty ruled Persia from 1786 until 1925. 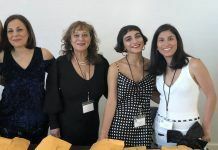 The period is increasingly recognized as a time of significant change in Persian society influenced by Western ideas and technology through the diplomats, military and technical advisers, merchants, travelers and missionaries who came to 19th-century Persia. 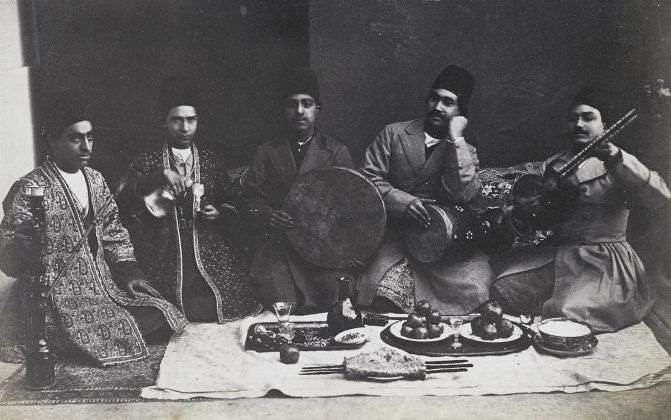 The art created during this period was particularly rich and bountiful, driven in part by exceptionally talented court artists, and by the Qajar sovereigns’ own interest in the arts. It is during this time that the country joined the global community, embracing innovation and modernization, introducing such new techniques as photography. 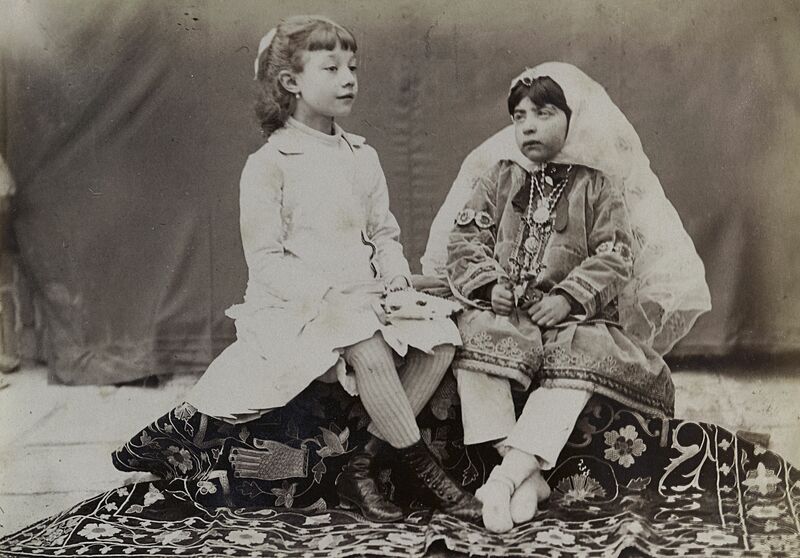 European and Persian girl, Unknown photographer, around 1880–1895. 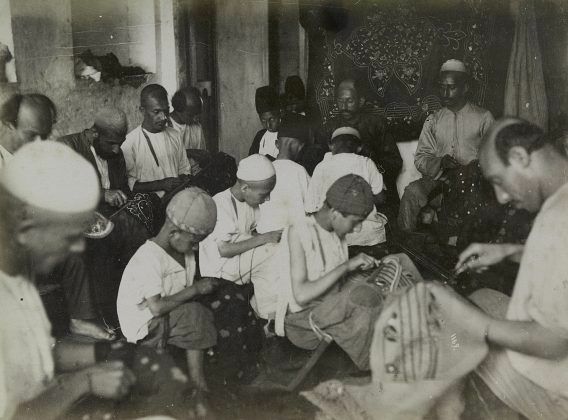 Embroiderer in Rasht,Unknown photographer, around 1880–1895. 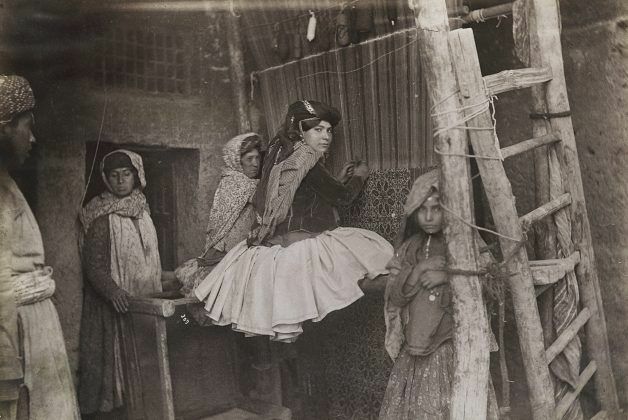 During carpet-knotting: a posed photograph,Antoin Sevruguin, around 1880–1895. Musicians, Antoin Sevruguin, around 1880–1900,Albumen print. Emil Alpiger lived a life of adventure, traveling around the world and founding two companies by the age of 28, before starting work at Ziegler & Co. in the 1870s, first establishing the carpet dealing business in Persia, in Sultanabad (now Arak), and later supervising the expansion of the company site. The Persian carpet’s legendary rise in Europe occurred during the century that followed the London, Paris and Vienna world fairs, at a time of “globalization” of public taste for oriental rugs. Ziegler & Co., an Anglo-Swiss producer and distributor of Persian carpets was the first foreign export company of Persian carpets and the most well known, active in both the manufacture and trade of used or new carpets. 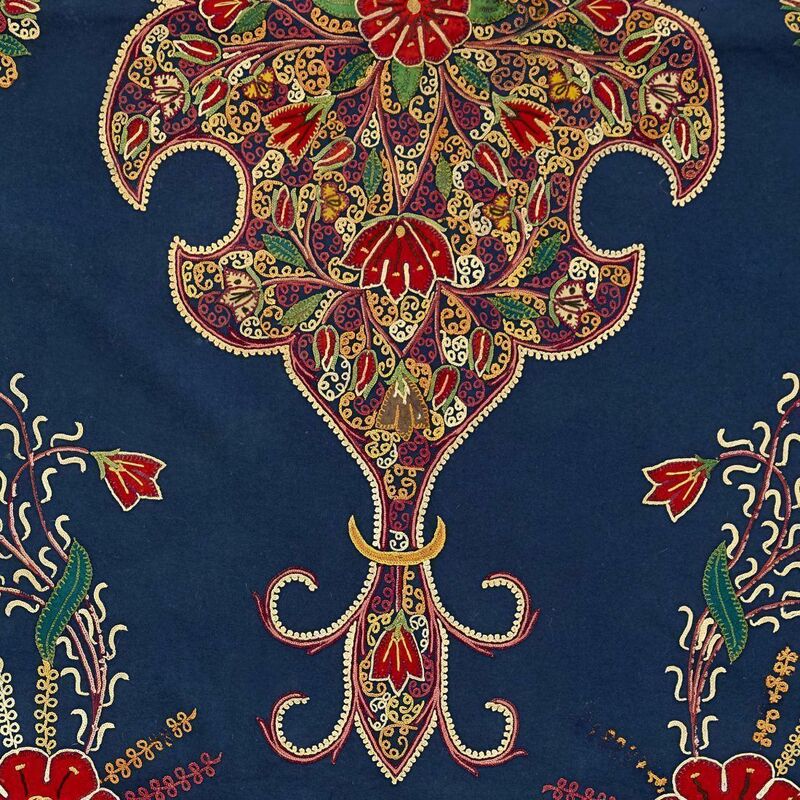 Wall Hanging (Detail), Iran, Rasht, 1875–1895, Woollen flannel, silk yarn. 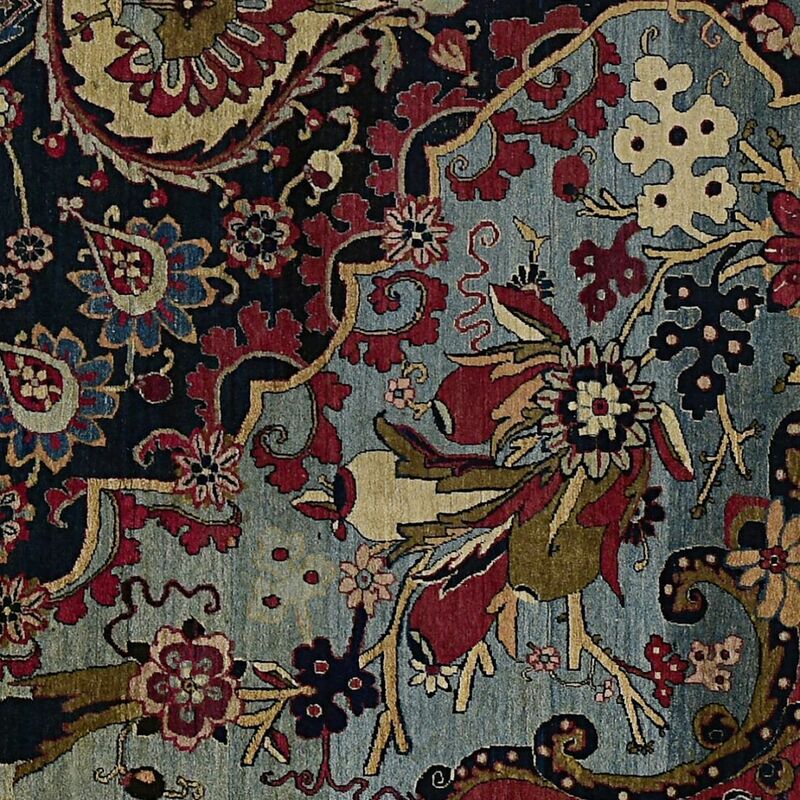 Medallion Carpet (Detail),Iran, Tehran (? ), dated 20/21 March 1895/96, Wool and cotton. Founded in Manchester in 1857 by the Swiss Philipp Ziegler, Ziegler & Co. was among the earliest foreign firms to have established a buying office in Persia, in Sultanabad, eventually controlling some 2,500 looms. 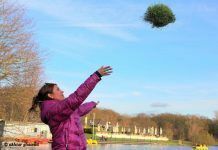 It distinguished itself from the competition in several ways, designing rugs with European tastes in mind and maintaining its own dyeing facility, providing weavers with already-dyed yarn, thereby controlling the quality of the dyes and the dyeing methods. Ziegler was the first to produce handmade Persian carpets while catering to European tastes and needs, using a softer palette of colors than traditional Persian rugs. 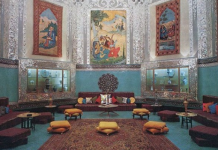 With workshops in Tabriz and Sultanabad, it supplied such retailers as Liberty & Company and Harvey Nichols in the United Kingdom. The Museum Rietberg Zurich is the only art museum for non-European cultures in Switzerland exhibiting an internationally renowned collection of art from Asia, Africa and Ancient America. 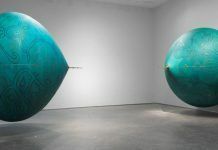 The core of the collection is comprised of the artworks bestowed to the City of Zurich in the early 1950s by the German and Swiss banker, art collector and patron, Baron Eduard von der Heydt.